I’m toasty…you could be too. Where I live we had an elongated summer; literally the kids wore shorts to school through last week. We are totally spoiled and I know it. This week it started to get chilly and I am soooo ready with my new heater. I used to worry like crazy about these space heaters and constantly thought of someone burning themselves and a fire. 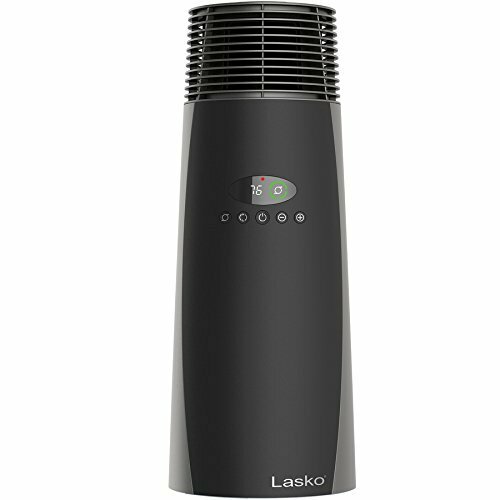 Lasko has this great heater for around $70 that I put up to the family test and I have to say I was impressed with the features. There are two heat settings a great digital screen and this handy-dandy remote to get you to your comfort zone. You don’t have to worry about the unit overheating since it has a great auto shut off before a problem starts. I think my fave feature is the fact that the unit is cool to the touch regardless; making it a safe choice for kids and pets. You can easily move it to whatever room you need it in; this is really an amazing heater. The warm hair circulates easily and you can quickly forget how chilly it is out there. Previous Article How I will “lure” some extra love from the hubby this holiday!